Think of Tahoe in the summer time with family cookouts by the lake, going out to your boat for early morning wakeboarding right in front of your own beach, strolling out to the Hyatt Pier & Bar for a cocktail to watch the yachts come and go. There are two 999 Lakeshore units available- these are adjacent to the Hyatt and have their own beach right next to the Hyatt Pier. There is one condo being offered for $935,000. Unit #5 has bedrooms with a sleeping loft and 3 bathrooms. The complex shares a private beach with boat buoy’s available! The head of the HOA is a really nice guy- my husband has remodeled some of the units which are redone beautifully with updated kitchens, baths and living areas. Unit # 31 just sold today, closing at $1,100,000 and #35 sold in April for $1,104,000. The only two sales below $1M in recent years were two sales in 2005- one at $880k and another at $957k. If you could get into the complex in the upper $800k’s, it would be a great buy, in my opinion, as you usually can’t touch lakefront for less than $1M in Incline Village. Here is the virtual tour for unit #33 $1,119,000 also on the market- look at these photos as they show the beach and the exterior of the complex. 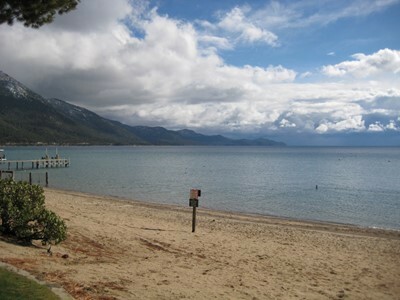 Please call me to see these- I would love to show you the amenities and negotiate the terms for your lakefront getaway!